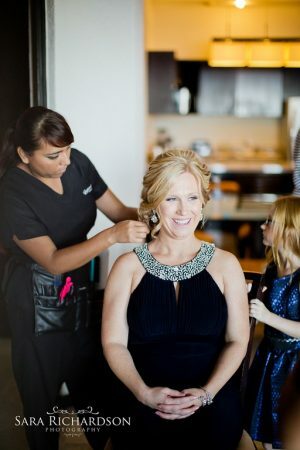 As Cabo’s best bridal hair and make-up salon, there are two things that always make us smile: Breathtaking wedding photos and feedback from happy brides! 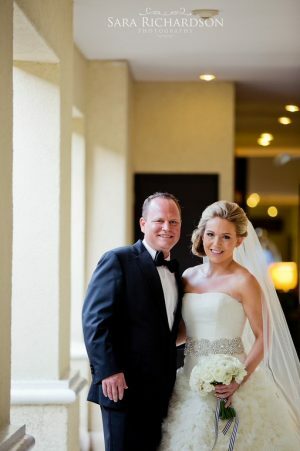 Today we received both from one of our November Cabo brides at Casa Dorada. She looked flawless on the day of her wedding, and when we received her professional photos we just couldn’t wait to share them! 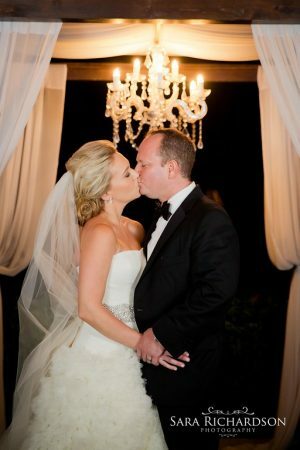 We think Tara’s soft, romantic up-do was a perfect match for her long, sheer veil and that unforgettable organza wedding gown. A bronzy cheek and pink lip kept her look sweet and fresh. 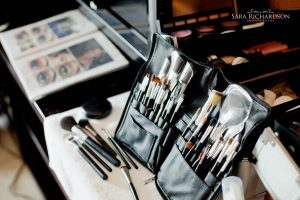 Remember, our bridal stylists consider everything about your wedding day when helping you choose the best bridal look. Your wedding hair and make-up should seamlessly match the style of your gown, headpiece, bouquet and your overall theme for the day. This entry was posted in Cabo Bridal Hair and Makeup and tagged beach bridal gown, best Cabo wedding salon, Cabo beach wedding hair and makeup, Cabo bridal gown, Cabo bridal look, Cabo bridal salon, Cabo bridal salon on location, Cabo bridal updo, Cabo mobile salon, Cabo romantic hair and makeup, Cabo wedding hairstyle, Cabo wedding salon, Casa Dorada, classic wedding look, destination wedding bridal salon, destination wedding hair and makeup, Mexico bridal salon, November Cabo wedding, perfect wedding hair and makeup, romantic Cabo wedding hair and makeup, Suzanne Morel Cabo salon.